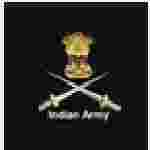 Indian Army service commission recruitment 2016 apply for latest jobs : Indian Army welcomes the application for the position of male candidates for short service commission (SSC) officer in Remount Veterinary corps vacancies in Indian Army. .Candidates who completed their B.V.Sc is a good opportunity.The individuals who are the occupation seekers searching for govt employments in India this is the best chance to apply. Competitors read the official notification then read all the guidelines and miners precisely then apply before the last date online application got. All eligible and interested candidates can apply before 1st September 2016. Educational Qualification for the Job: B.V.Sc. Candidates Age Limit: The age of the candidate should not be less than 21 years and should not be more than 32 yearsas on 1st September 2016.Age relaxation of 5 years is given for SC/ST candidates and 3 years is given for OBC candidates. Academic qualification details: Candidates should have B.V.Sc. / B.V.Sc. and AH degree from any of the recognized Indian University or its equivalent foreign degree or candidate must possess recognized veterinary qualification included in the first or second class schedule of the Indian university council Act 1984. Process of applying for the job: All eligible interested candidates can apply in prescribed application form along with self – addressed envelope (28 X 12 cm) with postal stamp affixed worth Rs 27/- and two passport size photograph send to the Directorate General Remount Veterinary service (RV-! ), QMC Branch, integrated headquarter of MOD (Army), West Block – 3, Ground floor, Wing No 4, Puram, New Delhi:- 110066 on or before 1st September 2016.